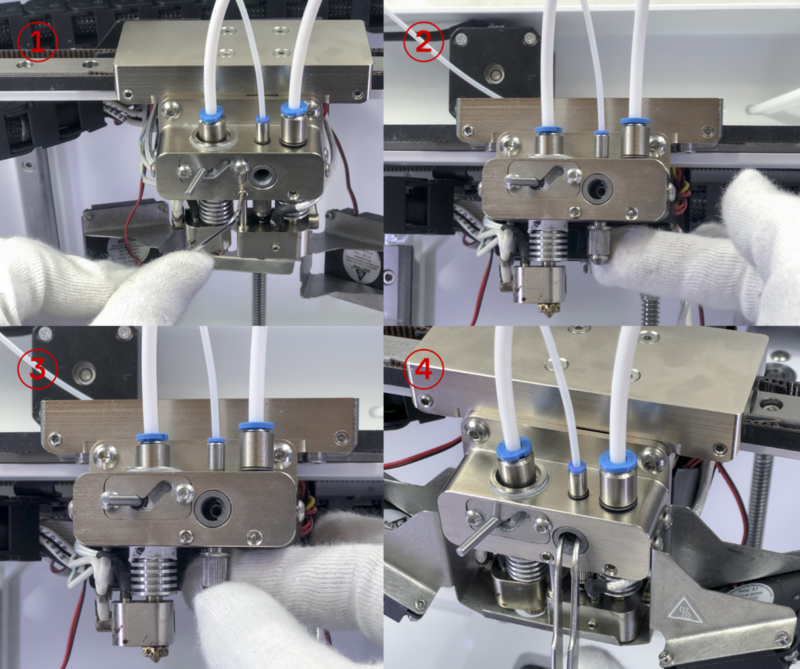 You may need to go through calibration procedure every time you replace a nozzle or after any other changes affecting relative positioning of the printhead and the buildplate, e.g. shaking or moving the printer. 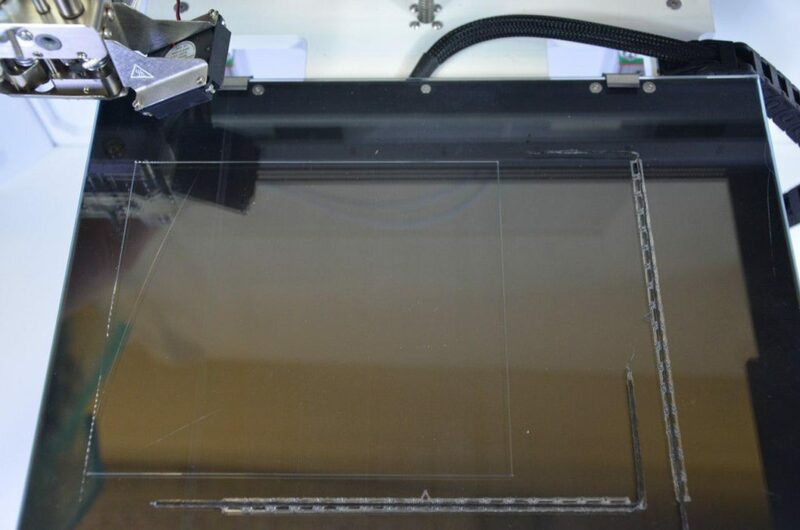 While printing a large part occupying the whole buildplate area, you can notice layer thickness varies from one end of the part to another, which as well means the buildplate requires recalibration. It’s highly recommended to preheat plastic nozzle before calibration as described here. To start calibration, on the main screen press Maintenance. Choose Calibrate > Buildplate. Follow instructions. First, you will be asked to set the plastic nozzle in approximately 1 mm from the buildplate. The first of 3 points is to be set through the calibration menu, and the left and right corners are tuned manually by adjusting the regulation screws. 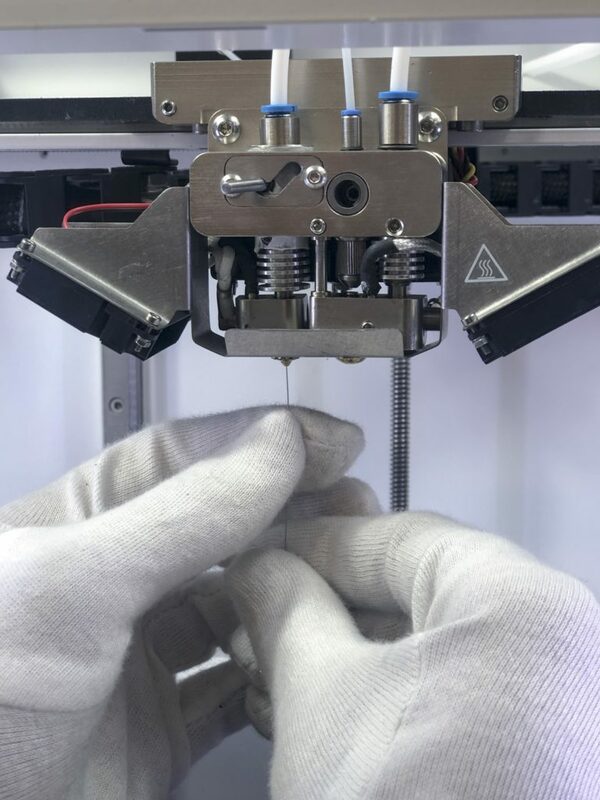 Second, the procedure is to be repeated for fine tuning, this time using a sheet of an office paper to set the lowest possible gap between the nozzle and the buildplate. The paper must be sliding in the gap with a slight friction. Setting insufficiently low gap will lead to failed prints and printer malfunction. It is recommended to calibrate Z axis right after buildplate calibration. The distance between buildplate and plastic nozzle tip is quite an important parameter affecting the quality of your prints. If it seems that plastic layers are too thin or too thick, nozzle tip scratches buildplate or previous layers or the quality of vertical walls of your model is insufficient due to improper plastic layup, try this procedure. Press Maintenance > Calibrate > Z axis and follow the instructions. You will be asked to use a thin paper sheet to fine tune the gap between the nozzle tip and the buildplate. Print any code to verify the results of the calibration, paying attention to brim and first layer layup. XY offsets define relative position of composite nozzle with respect to plastic nozzle. You typically need to go through this procedure once after nozzle replacement or cleaning. In order to calibrate, print the special service code NozzleOffsetTest.gcode from the SD card supplied with your Composer A4. You can also download the gcode here. 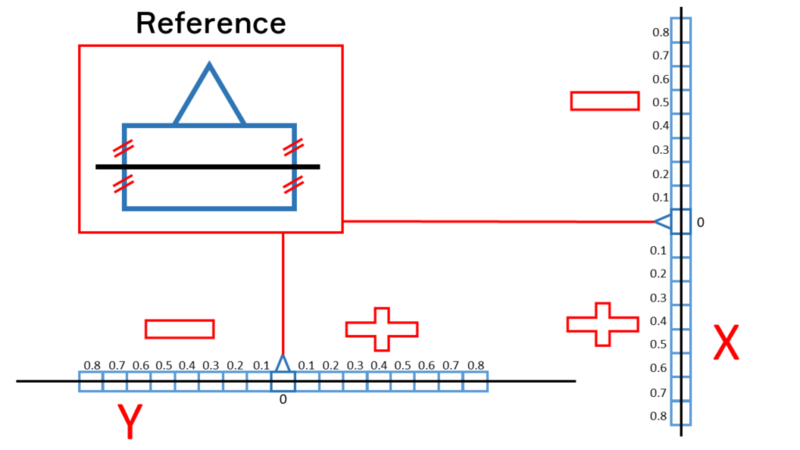 For every axis find the rectangle where the composite thread is right in the middle as shown on the Reference scheme. The distance of this rectangle to zero rectangle is the number you need to add to/subtract from the current offset value. After adjusting the offsets, reprint the offset test and make sure that composite thread is properly centered(as on the Reference scheme) for both X and Y zero rectangles. You might want to clean inner surface of a nozzle – chemically or mechanically. All extruder parts can be hot! Heat an extruder in order to melt remaining plastic possibly blocking the nozzle thread. Unscrew a nozzle from an extruder using a 7 mm wrench for the plastic, and 10 mm wrench for the composite nozzle. Extruders and other printhead parts can be extremely hot! Use the string tool from the Supply Kit. Push the string through the nozzle up to the heat sink. To finish the clearing procedure, feed about 50mms of plastic to the extruder. This will help to cleanse the smallest fiber particles out of the nozzle. Feed the fiber to the extruder and make sure it comes out of the nozzle smoothly. Cut the fiber and remove the cut piece and remaining plastic from the nozzle. Do this only if you are sure the fiber was jammed inside the extruder. Before the start, disconnect the fan shroud as explained in Nozzle cleaning section. Using a hex key from the Supply Kit, loosen the 2 screws on the front of the extruder. Unscrew the fiber feed tube and check for the broken fibers inside. Use a pair of tweezers to clean the trimming system.